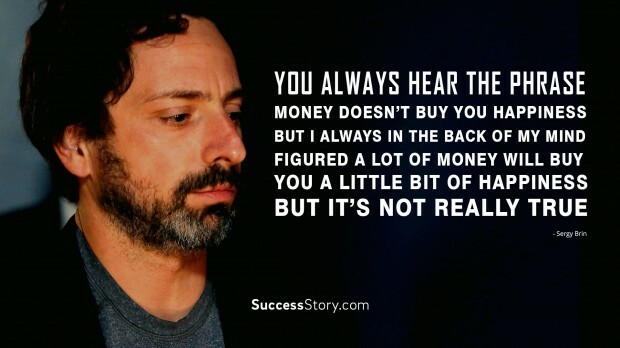 Sergey Mikhaylovich Brin, the co-founder of Google is a computer scientist and a successful entrepreneur. 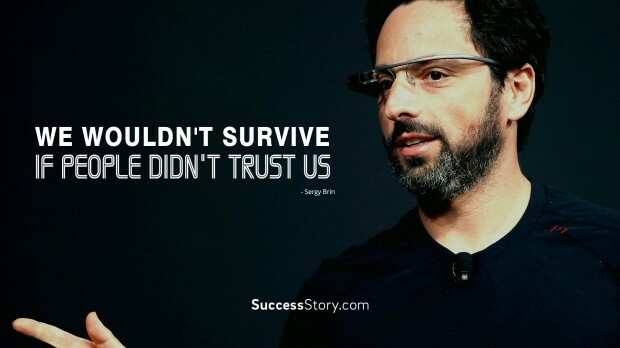 Sergey Brin was born on August 21, 1973 in Russia. 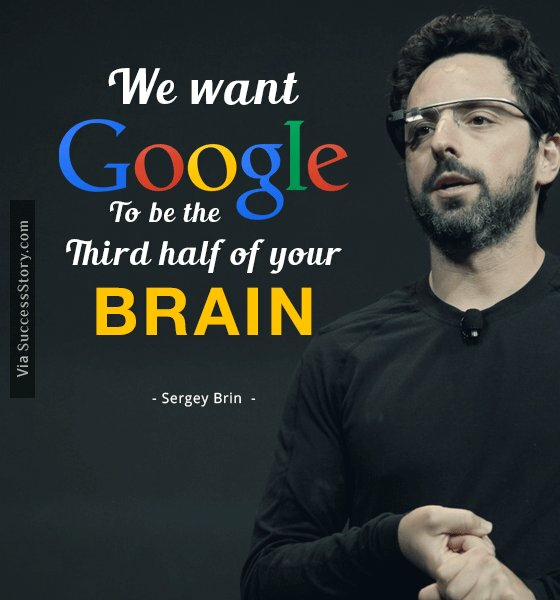 He went to Stanford University to pursue PhD in computer science, where he met Larry Page. Both Sergey and Larry discontinued their studies to start Google. Despite being a late entrant to the search game, Google now rules the world. They are amongst the top young innovators in the world. "You always hear the phrase, money doesn’t buy you happiness. But I always in the back of my mind figured a lot of money will buy you a little bit of happiness. 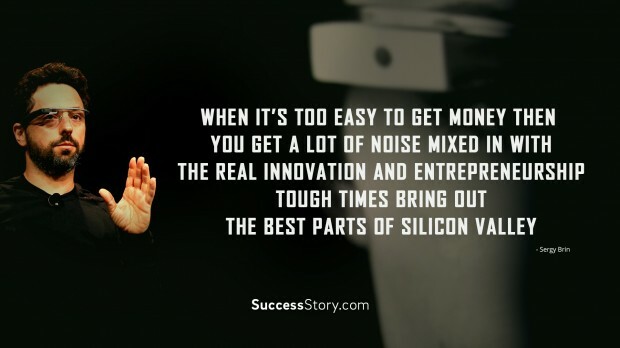 But it’s not really true"
"When it’s too easy to get money, then you get a lot of noise mixed in with the real innovation and entrepreneurship.Tough times bring out the best parts of Silicon Valley"
"We wouldn't survive if people didn't trust us"
"We saw that a thousand results weren't necessarily as useful as 10 good ones"
"We believed we could build a better search. We had a simple idea that not all pages are created equal. 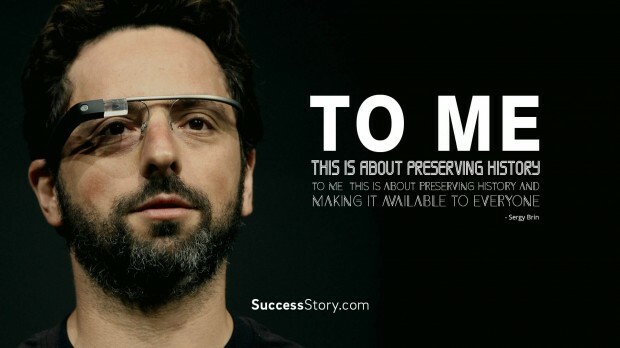 Some are more important"
"Ultimately you want to have the entire world's knowledge connected directly to your mind"
"To me, this is about preserving history and making it available to everyone. To me, this is about preserving history and making it available to everyone"
"If I were seriously interested in something important to me, I wouldn't just click on the first search result, read it and take it as God's word"
"I would like to see anyone be able to achieve their dreams, and that's what this organization does"
"We have tried to define precisely what it means to be a force for good – always do the right,ethical thing. 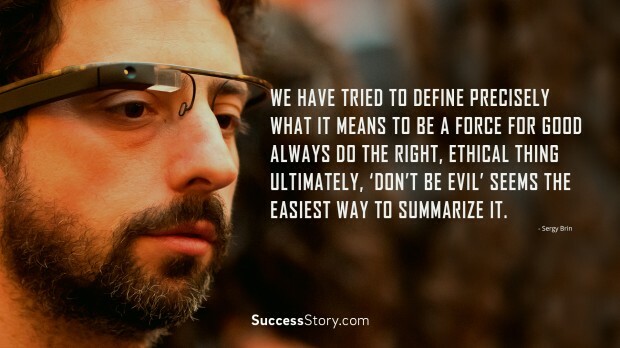 Ultimately, ‘Don’t be evil’ seems the easiest way to summarize it"
"We do lots of Stuff. 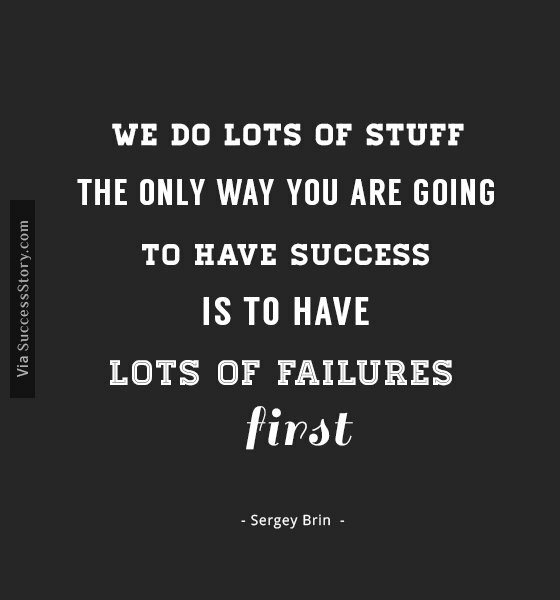 The only way you are going to have success is to have lots of failures first"
"We just want to have great people working for us." 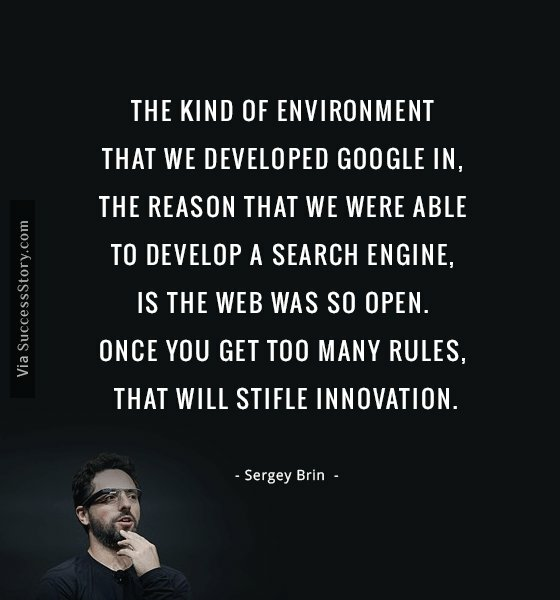 "The kind of environment that we developed Google in, the reason that we were able to develop a search engine, is the web was so open. 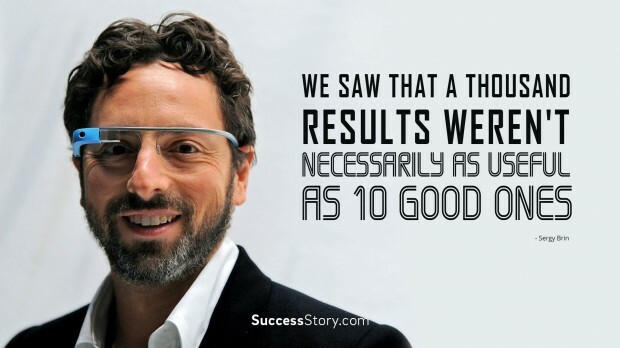 Once you get too many rules, that will stifle innovation." " When I was growing up, I always knew I'd be in the top of my class in math, and that gave me a lot of self-confidence." 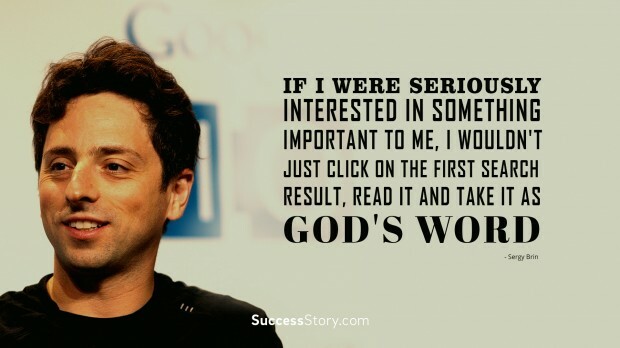 "Some say Google is God. 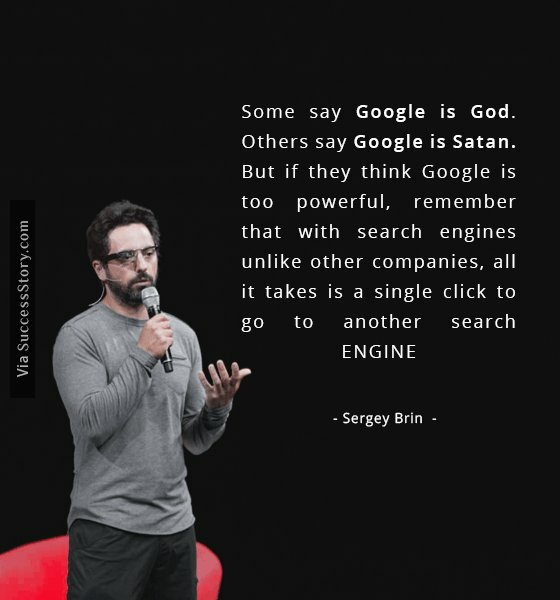 Others say Google is Satan. 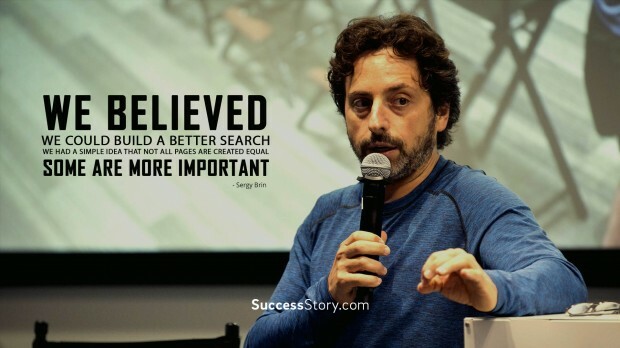 But if they think Google is too powerful, remember that with search engines unlike other companies, all it takes is a single click to go to another search engine. " 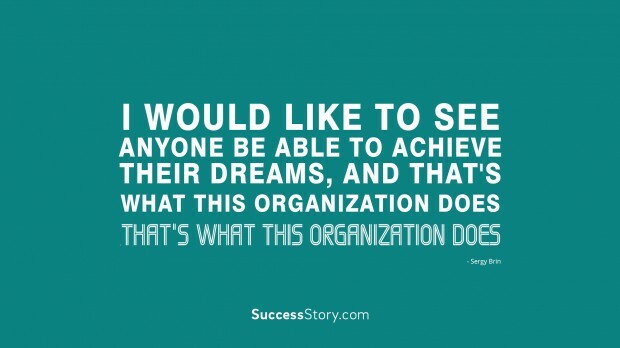 "Solving big problems is easier than solving little problems." 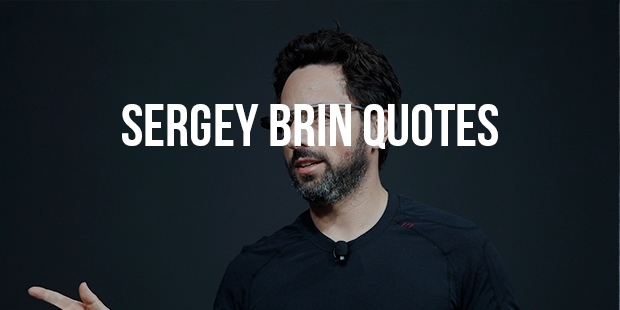 Brin married Ann Wojcicki and has a son and a daughter. 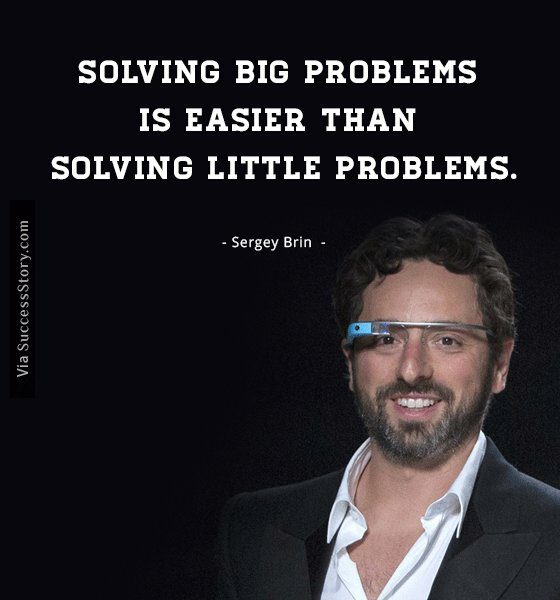 In several newspapers, Sergey Brin has been rightly quoted as the ‘Enlightenment man’. The 40-year-old man has made a steady position in the top billionaires list in the world. 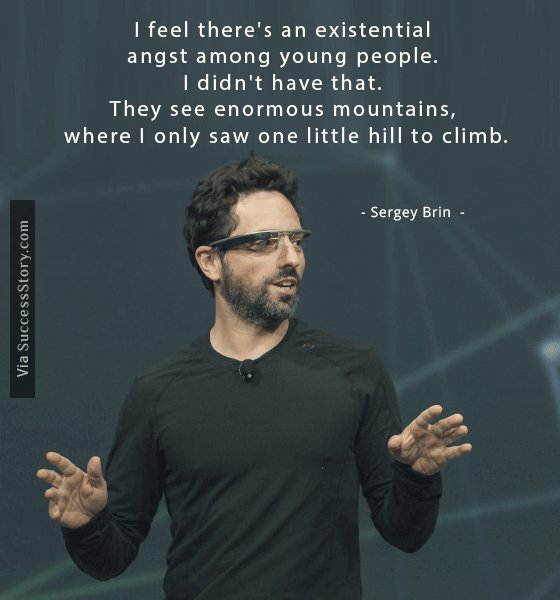 Sergey Brin may be second only to Larry Page, but his contribution to the world with Google has and is ongoing in a massive way. 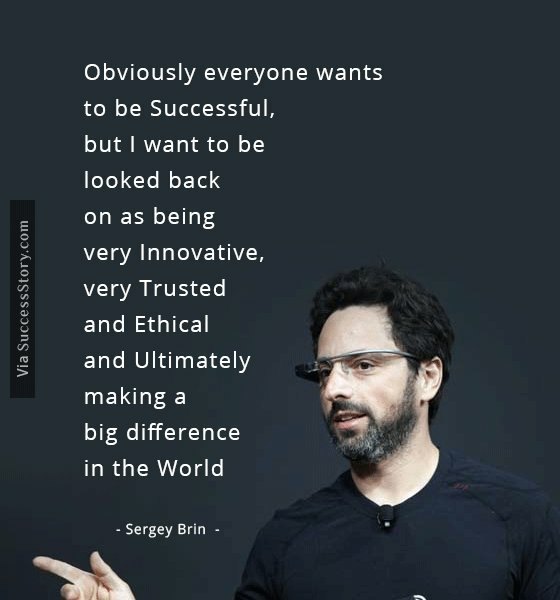 Sergey is a keen believer of innovation and vision. 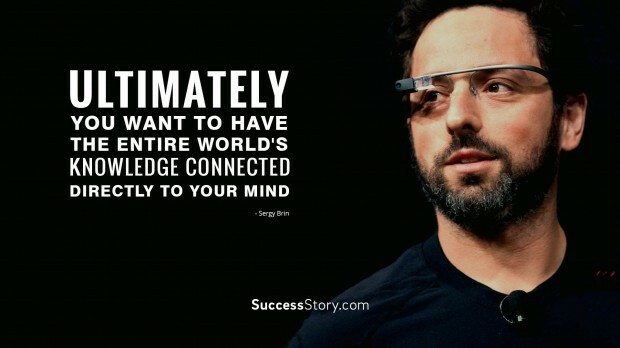 In 2003, both Brin and Larry received honorary MBA from IE Business School and Fellows at Columbia University. Brin has received several prestigious awards. Brin and Page’s venture has come up with several innovative products such as Adwords, Google News, Google Maps, Gmail, Android Mobile operating systems etc. 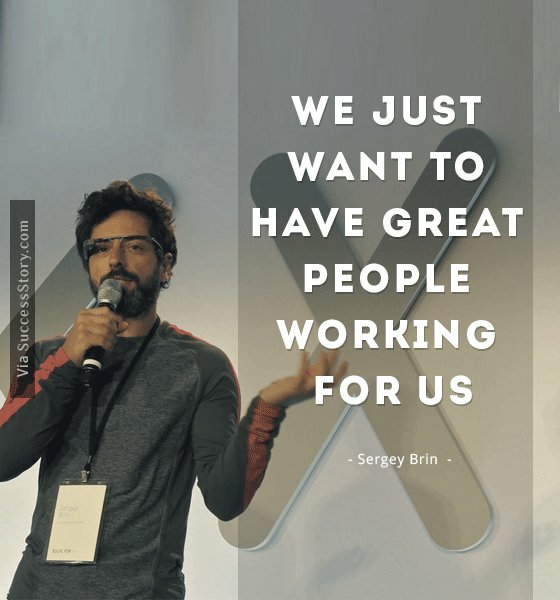 Brin is currently also busy with several projects such as google.org. He is one of the principle investors in Tesla Motors. Brin and Page co-own a Boeing 767-200 and a Dornier Alpha Jet.